Sometimes people decide against concrete because they think it is unappealing to the eye. To an extent, they are correct. Concrete can be dull, gray and flat, but with an experts hand it can be so much more. That is why so many people come to Concrete Contractors Tuscaloosa to stamp their concrete. Stamped concrete is the perfect option for any home renovation project as it transforms your patio, sidewalk, driveway, or steps into a stylized work of art. Stamped concrete not only looks nicer, but it is also just as durable as regular concrete, so there really isn't a reason not to do it. Our stamped concrete comes in many variants for you to choose from to make your concrete textured like bricks, slate, or even stone. Our contractors can stamp your concrete when the job is done to give your project character without sacrificing structural integrity. The main reason for installing stamped concrete is simple. It looks great! Stamped concrete is how you take your patio, pool, or sidewalk to the next level and it is becoming more and more in demand by our clients everyday. Your neighbors may scoff at you when they here you are installing a concrete patio, but we guarantee their heads will turn once they see it stamped and stained. Our masons are able to install stamped concrete in many different sizes, shapes, colors, and designs so that your project is truly a reflection of your own personal style. Stamped concrete is the number one way to take your project to the next level. There is no limit to what style your stamped concrete can look like. Whether you want a brick or stone texture applied to your concrete, our contractors can install it without losing quality of the structure. Make sure that you use a trusted and licensed professional when thinking about installing stamped concrete. All it takes is a short phone call, and you will be on your way to having a professionally installed and quality stamped concrete structure. Trust Concrete Contractors Tuscaloosa with your next renovation. We are skilled professionals with a track record to prove it. We will get the job done right, the first time. Don't cut corners when it comes to your renovation. We have been called out many times to fix poorly installed concrete, so save yourself the money and headache of having to reinstall your concrete. Call Concrete Contractors Tuscaloosa first. ​We are Tuscaloosa's most trusted concrete company. We have been installing stamped concrete in Tuscaloosa for decades. We also have the most competitive rates for installing stamped concrete, and can offer you affordable and quality work regardless your budget. Regardless the size of your project, take it to the next level with our incredible stamped concrete. 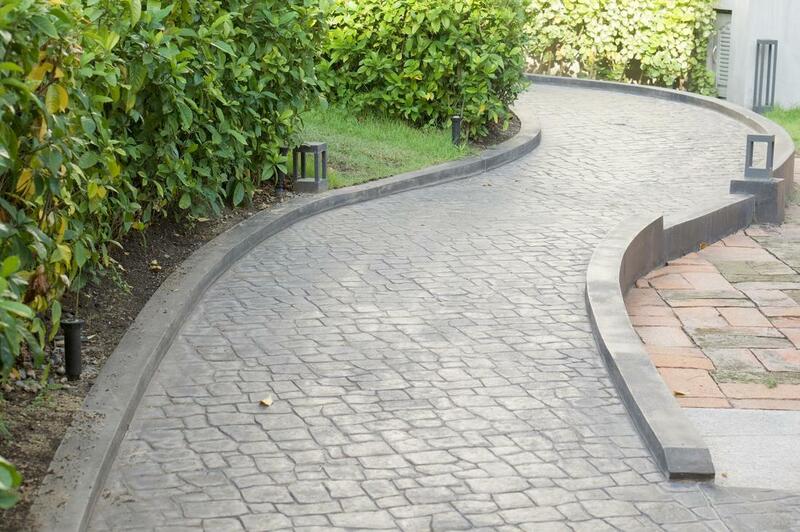 Don't let your new patio, driveway or stairs just be boring and gray concrete. Our masons can shape and stamp it to match your personal style and preference making you the talk of the town. He have become most trusted and relied up on company people come to for their stamped concrete projects.